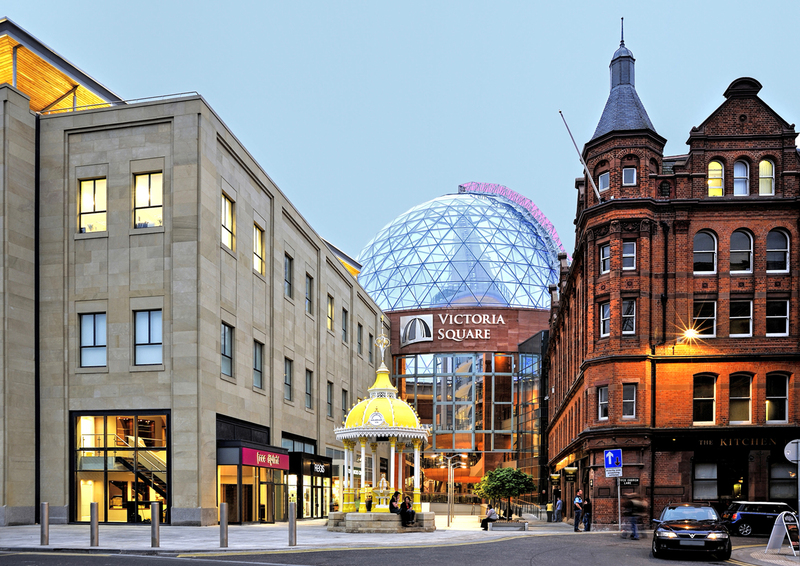 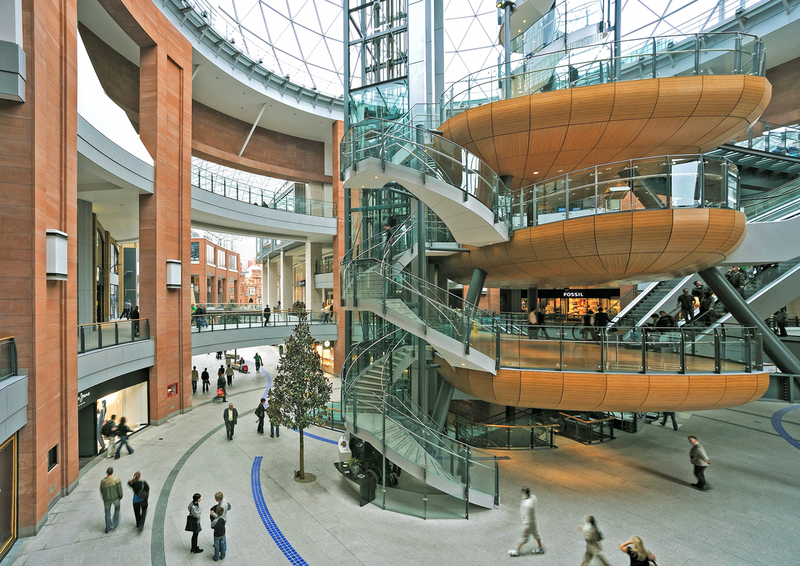 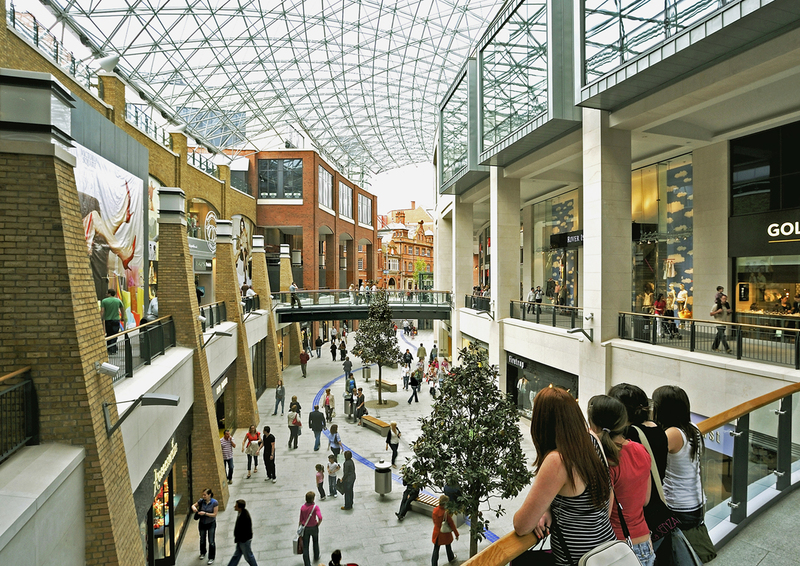 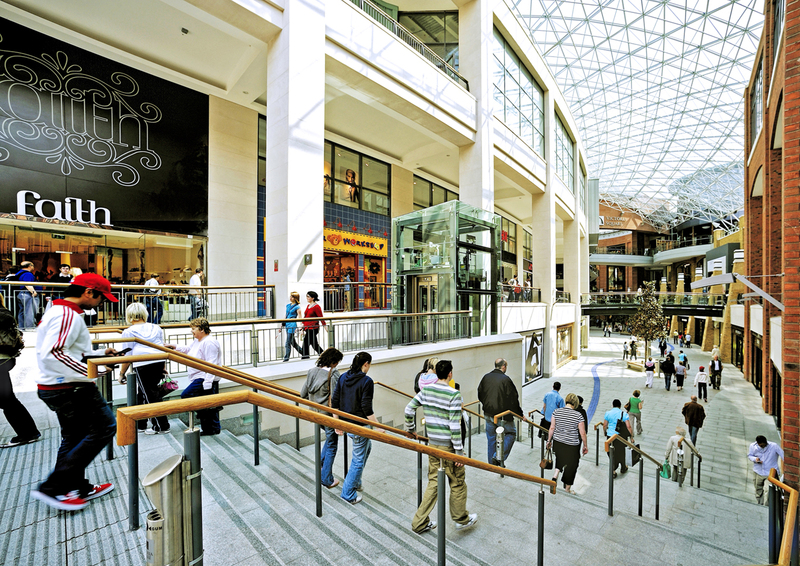 Victoria Square is a high-end commercial, residential and leisure development in Belfast, Northern Ireland. 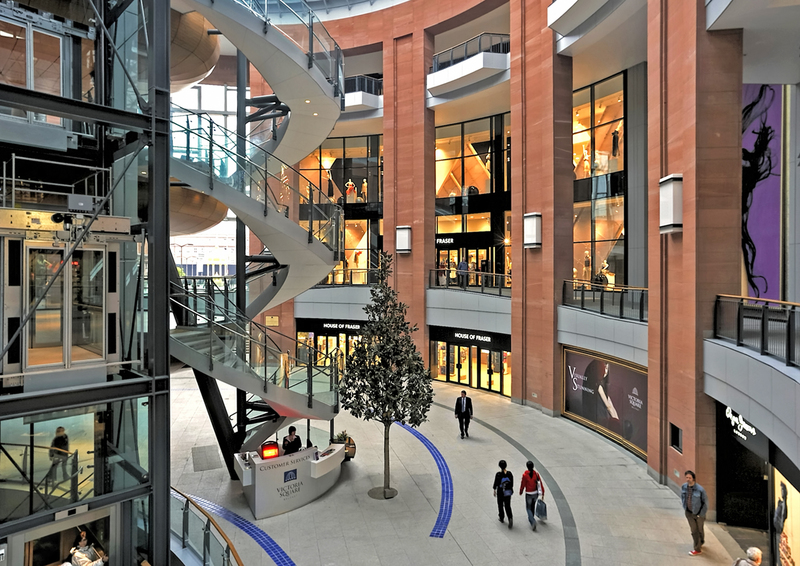 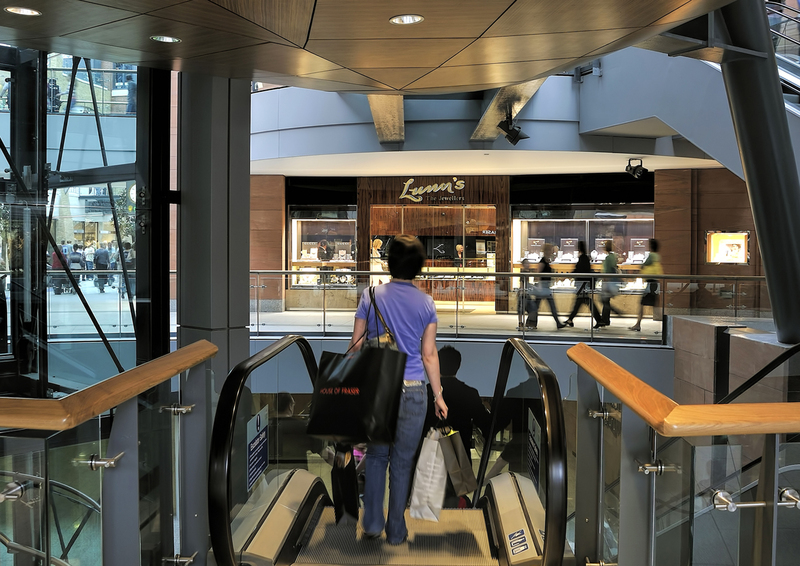 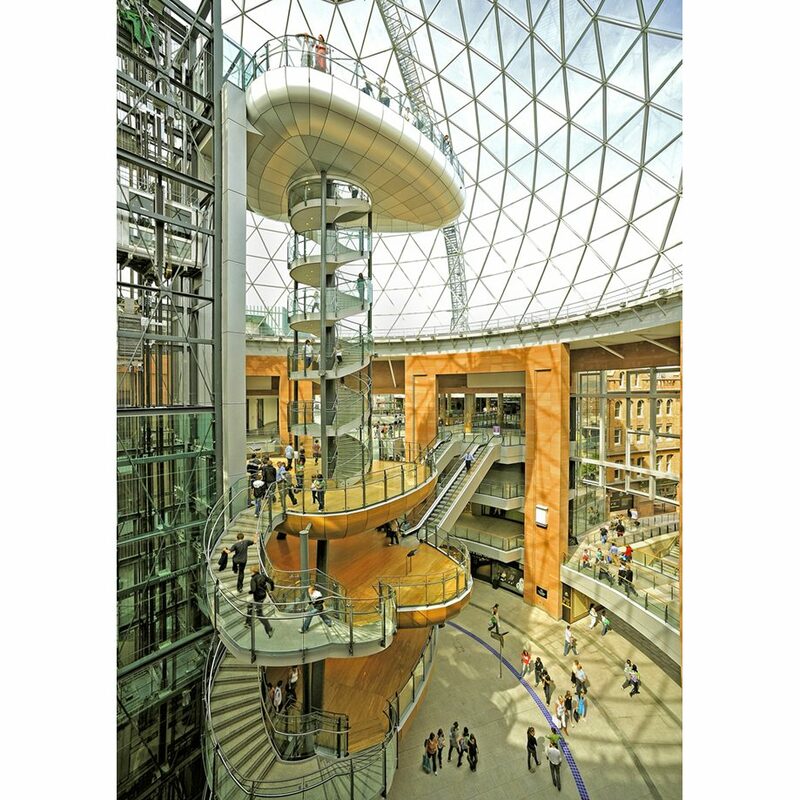 Developed and built by Multi Development, the Victoria Square scheme designed by Building Design Partnership harnessed the very latest retail thinking. 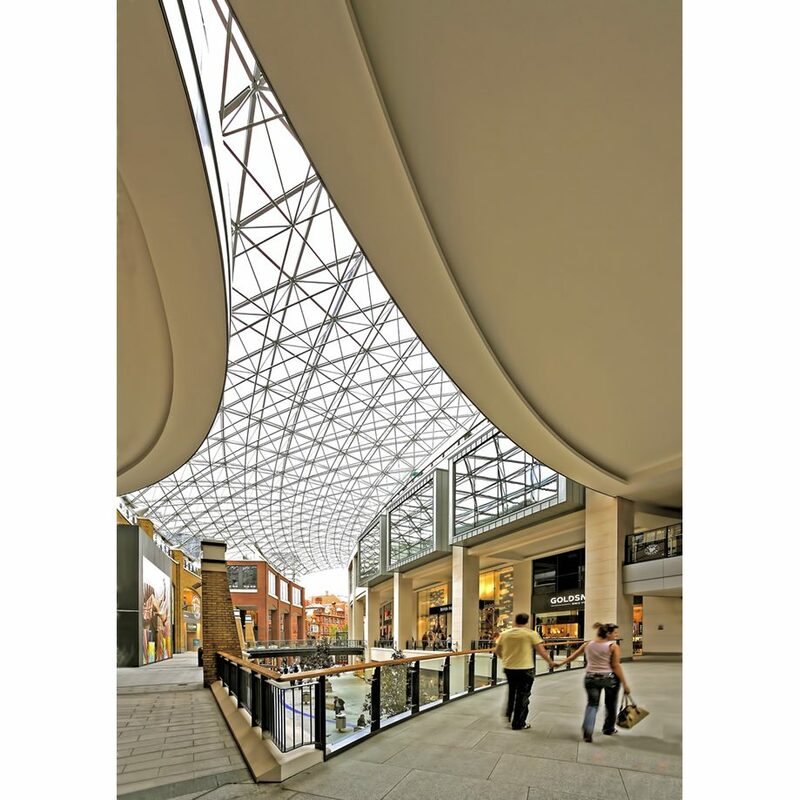 The scheme incorporates pedestrian-friendly open and covered streets, penthouse apartments and modern entertainment spaces. 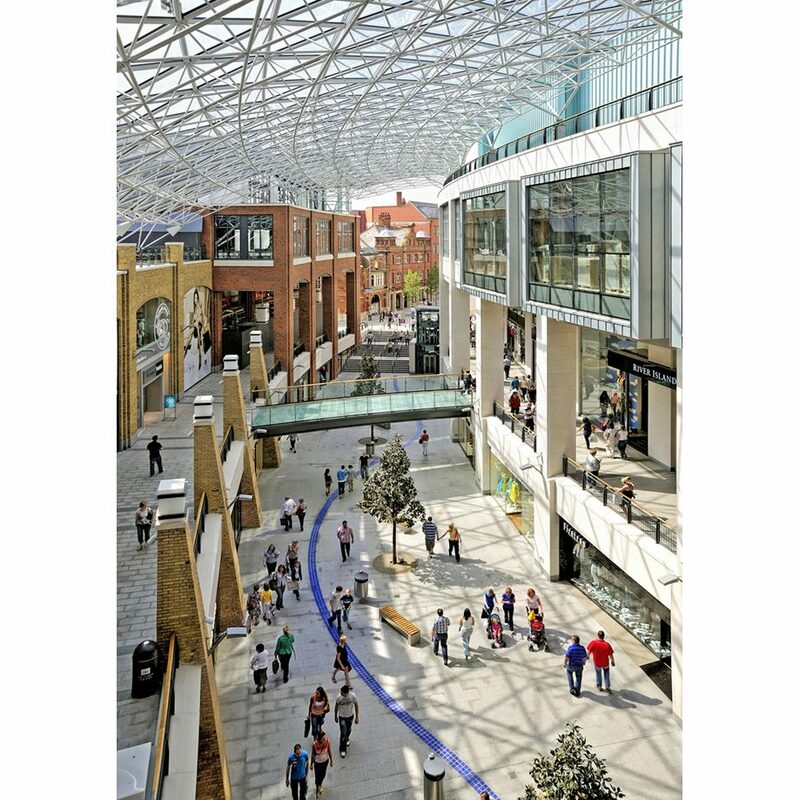 The scheme comprises nearly 63,000m² of retail floor space over three floors, anchored by a flagship House of Fraser store, and including a multi-screen cinema, food court and restaurant terrace, 106 apartments and two-level basement parking for 1000 cars. 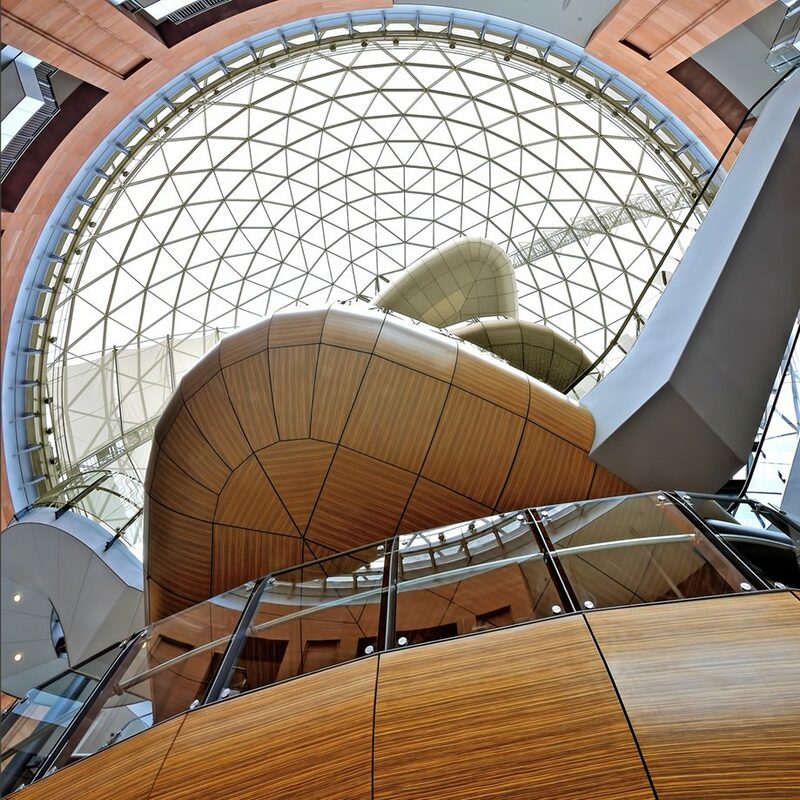 A key element in the development is two covered, multi-level streets linked to a massive glass dome measuring 35mtr in diameter. 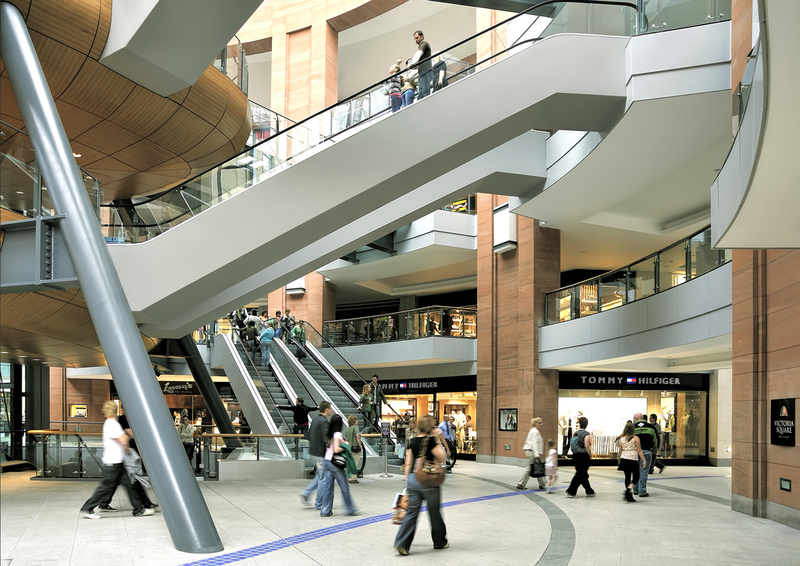 The dome serves as the hub of the entire area. 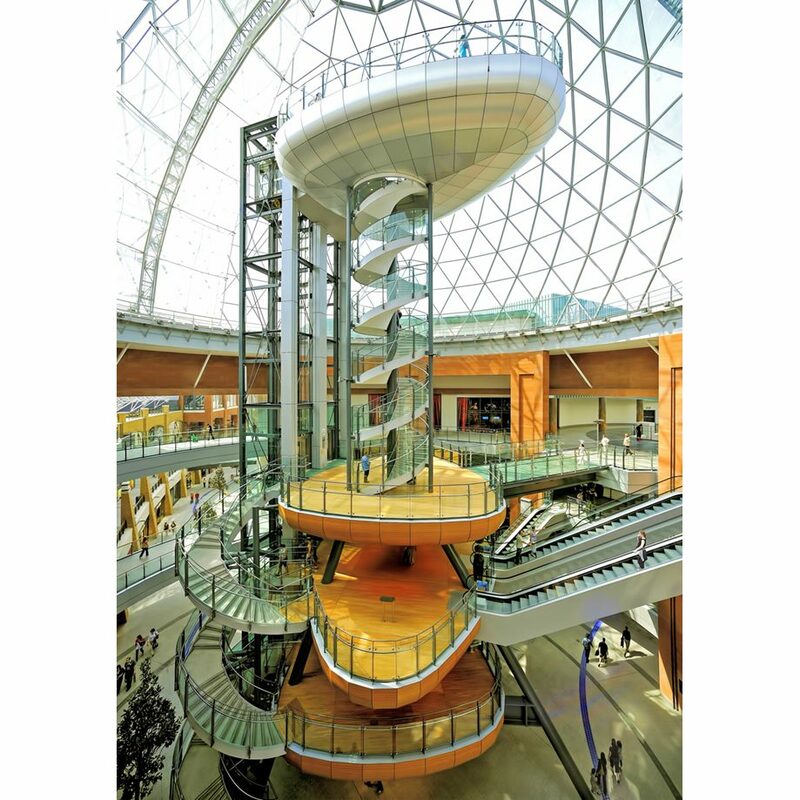 Within the dome is a multi-level tower, on top of which is a platform providing 360º views over Belfast. 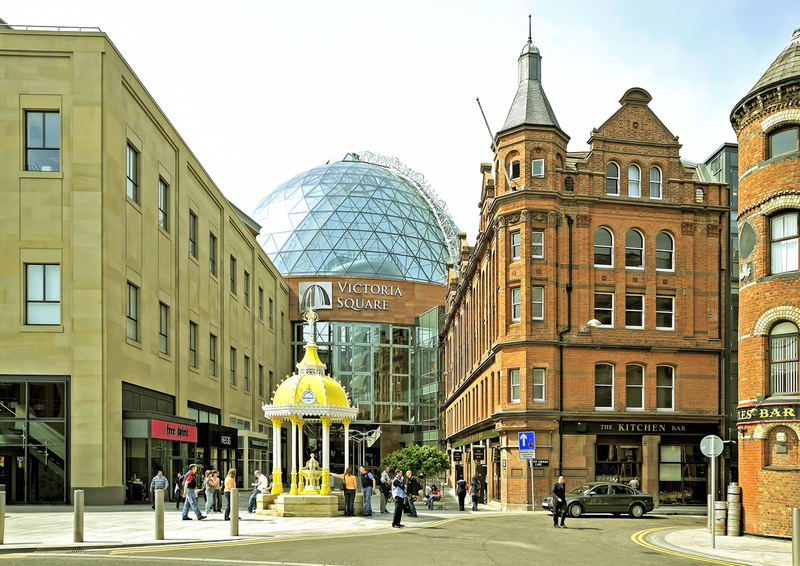 Outside the main entrance, the ornate Jaffe Fountain constructed in the 1870s by former Lord Mayor Otto Jaffe in memory of his father has been restored to its original location in Victoria Square. 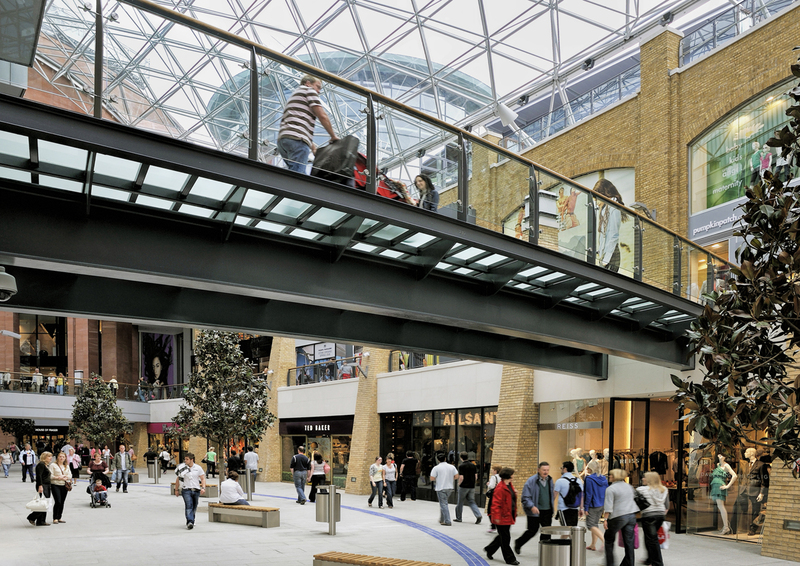 The briefing was to prepare a set of strong commercial images capturing the exciting atmosphere within the centre by including the ‘human dimension’ in many of the shots without distracting from the pure architecture. 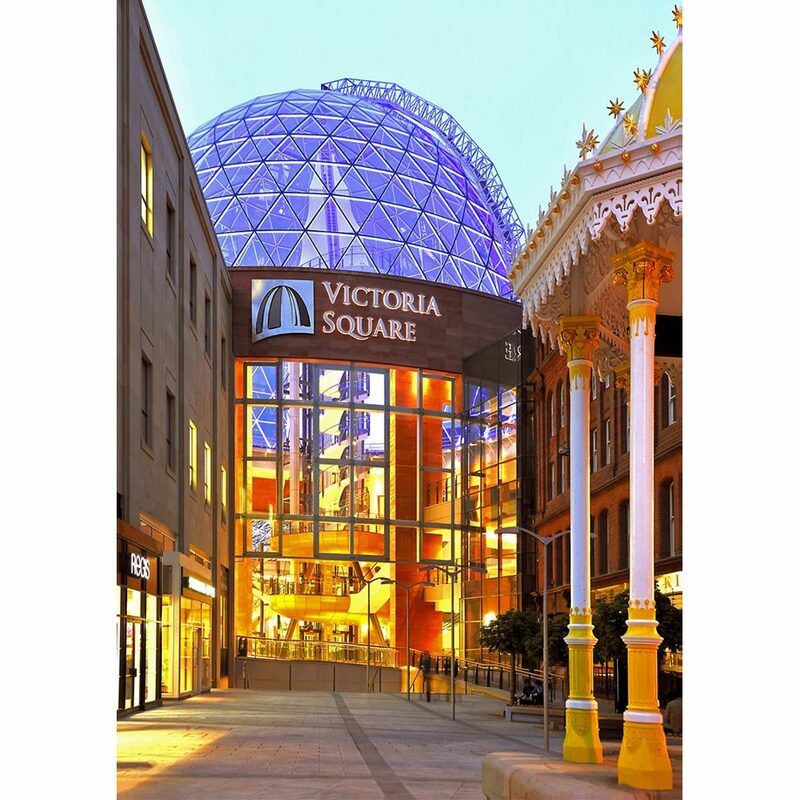 Ownership of Victoria Square is now in the hands of Commerz Real.